Of all the architectural beauties in Beverley Minster, that treasure house of beautiful and sacred things in the Yorkshire plains there is nothing more striking than the Early English double stairway off the north aisle of the choir, shown in this photograph (bottom). It led to the Chapter House, now vanished. 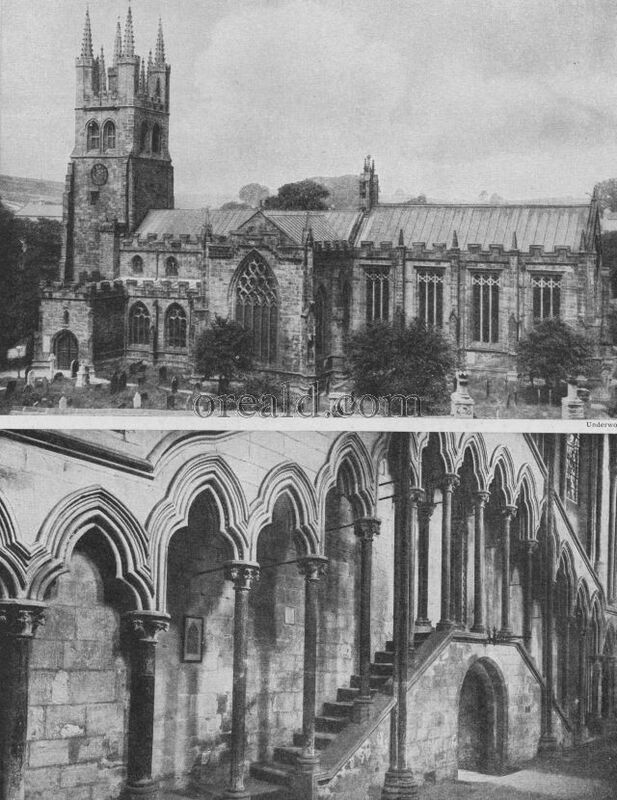 The church of S. John Baptist at Tideswell (top) dates from the fourteenth century, and has been styled the "Cathedral of the Peak." It was patiently and splendidly rescued from dilapidation by its vicar, Canon Andrew, 1864-1900.